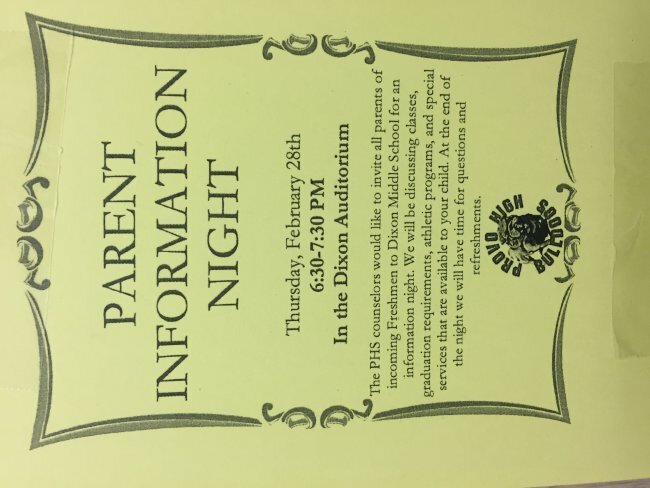 8th grade parents we will have a parent night tonight, Thursday February 28th from 6:30PM-7:30PM at Dixon! The Provo High counselors will be here talking about registration, graduation requirements, clubs, sports, and more. 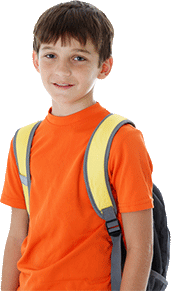 There will be an English session in the auditorium and Spanish will be in the library. We will also have refreshments as well! See you tonight! 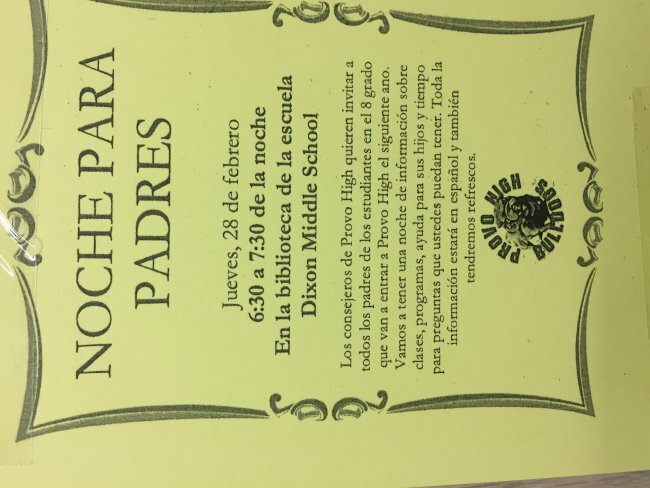 Padres de los estudiantes en el 8 grado, vamos a tener un noche para padres esta noche jueves el 28 de febrero a las 6:30PM a 7:30PM en Dixon. Los consejeros de Provo High van a venir aquí y van a hablar sobre clases, programas, clubs, deportes y mas! Hay un sesión en español en la biblioteca de Dixon y también tendremos refrescos!